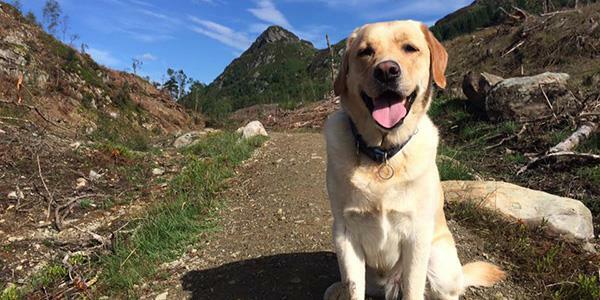 If you've been to stay at Tigh Mor, you may recognise Romeo as the site's lovable resident labrador. Trained Human: Nikki Cirillo (Tigh Mor Manager). 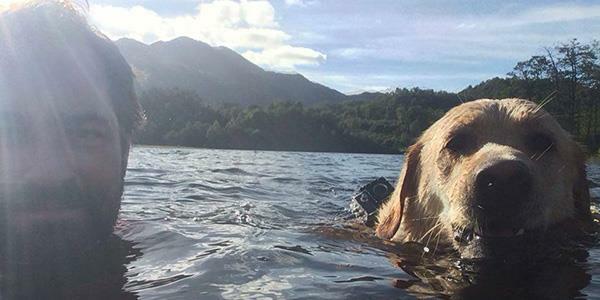 Hobbies: Loves to swim the lochs around Tigh Mor. Guilty Pleasure: Chewing people's socks. Favourite game: Chasing other dogs. And cats... And humans... And own tail! I am an adventurer and love to explore all the hidden areas around Tigh Mor. 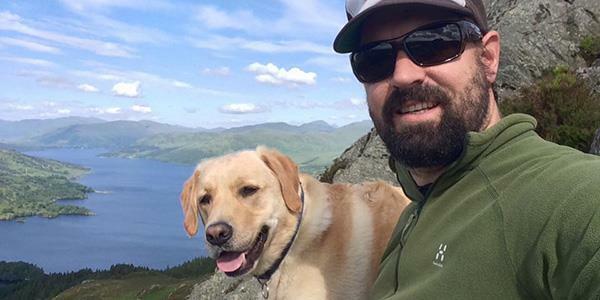 Because Neil-The-Maintenance-Man is a good friend of mine, I often take him for walkies up Ben A'an and Ben Venue. They're the best mountains around. They both lie to the west of Tigh Mor and overlook the huge Loch Katrine. My humans really enjoy cleaning my paws for me. 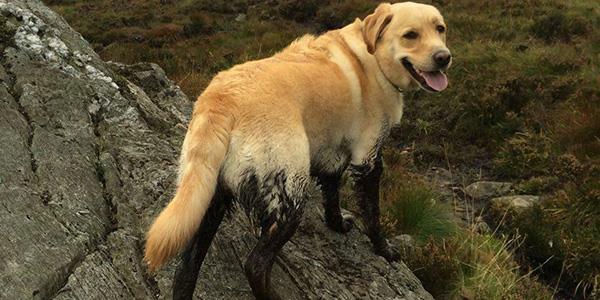 Because I am a considerate dog I target all of the muddiest places when we go for walkies. If I roll around in it they even give me a nice warm bath. It's great fun for all of us. 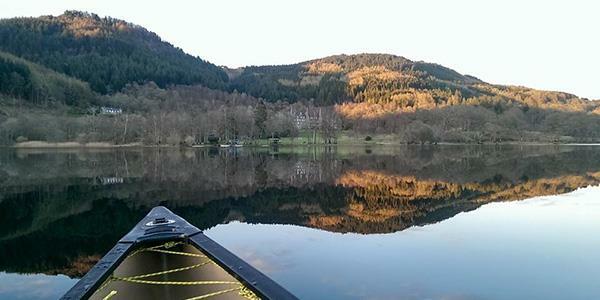 Loch Achray is the closest one to Tigh Mor and we go for boat rides together there. Neil rows while I navigate. He would get very lost without me! Neil often challenges me to races up all of the mountains... Foolish Neil! I always win because Neil only has two legs. Here I am at the top of Ben A'an. 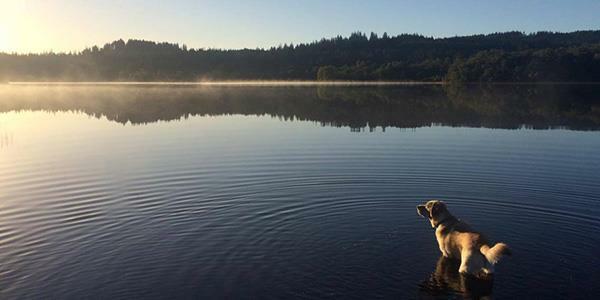 If I am feeling really generous I take Neil to one of the lochs by Tigh Mor and try to teach him to swim. He still does not understand the Doggy Paddle. He is very uncoordinated and we have a long way to go. But I shall keep taking him until he gets it right. Because Neil-The-Maintenance-Man knows just how good I am at exploring he attaches Romeo-Cam to my back. I get all of the best video footage around and Neil makes it into films. 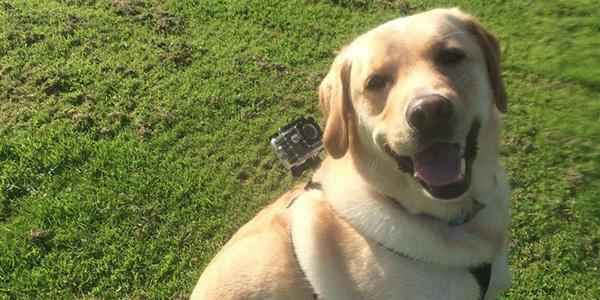 Neil finds it hard to walk and hold cameras at the same time because his front paws don't reach the ground. 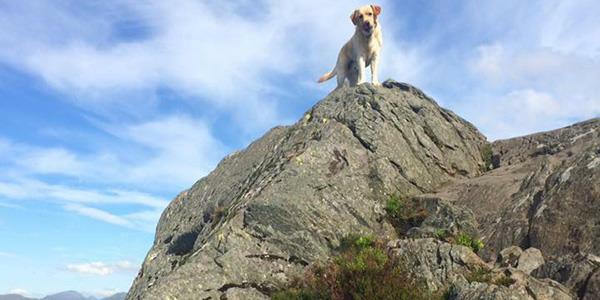 If you would love to see all of my favourite places and enjoy your own walkies, take a look at the Tigh Mor walks page here.